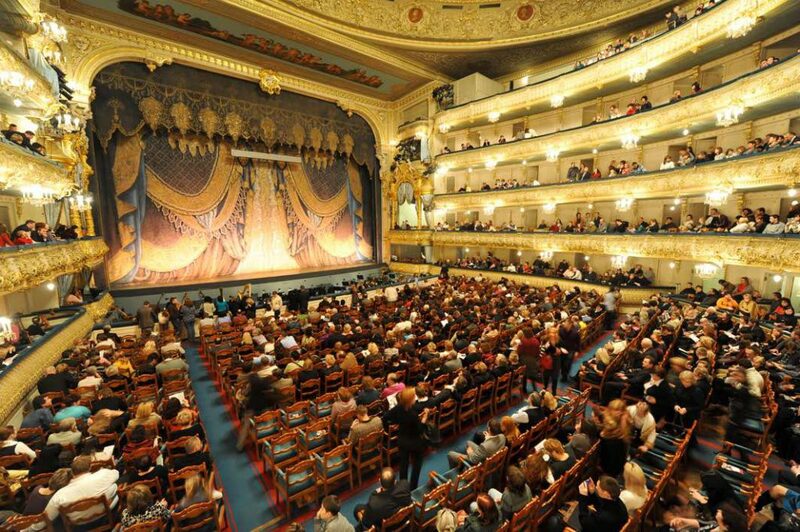 For those who wish to go to see an opera or ballet in St. Petersburg, in this article I will explain how to buy tickets online in the websites of the two most famous theaters in the city, the Mariinsky and Mikhailovsky. Many tourists that visit Russia, even those who are not very fond of ballet or opera, often want to go to a ballet or opera interpretation. If in Moscow the Bolshoi Theatre is famous, in St. Petersburg there are two renowned theaters: the Mariinsky and Mikhailovsky. 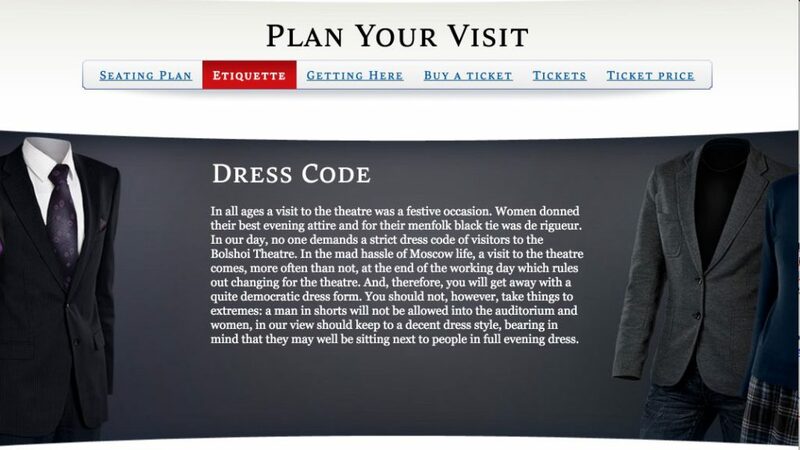 In this post I will explain how to buy tickets online in these theaters, as well as the dress code if you will be attending some representation. Tickets can be purchased online but also in advance at the theater box office. 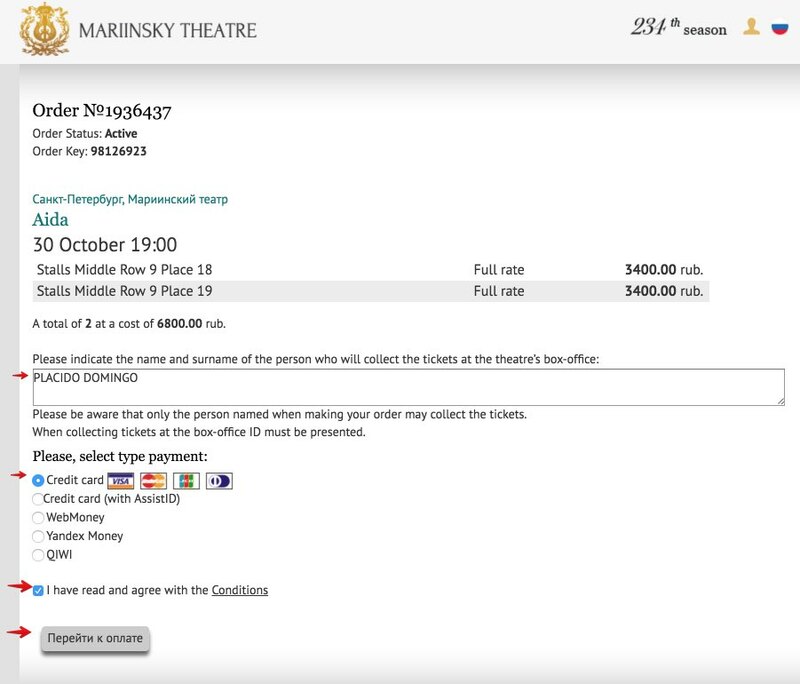 In some operas or ballets, the tickets for Russian citizens (or legal residents in Russia) are more economic than the tickets for foreigners. 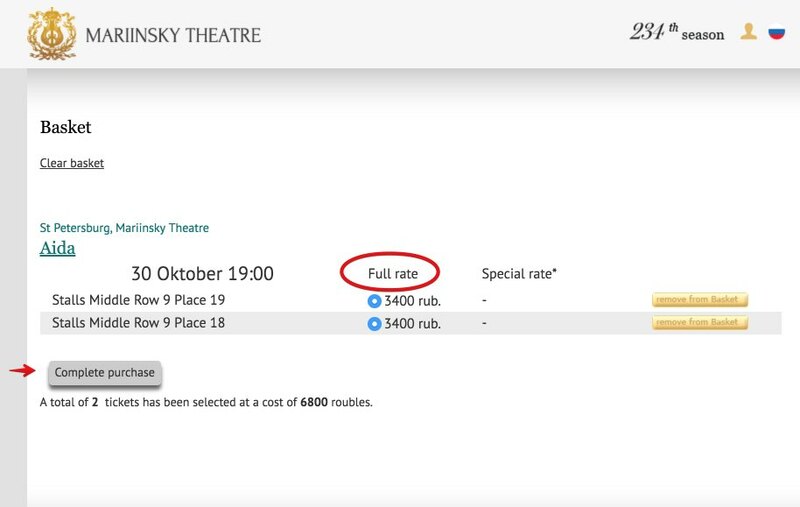 Tickets for Russians are marked with the rate “special rate”, while foreigners must buy tickets with the normal or “full rate”. Electronic tickets only need to printed and present them directly at the entrance (no need to exchange them). 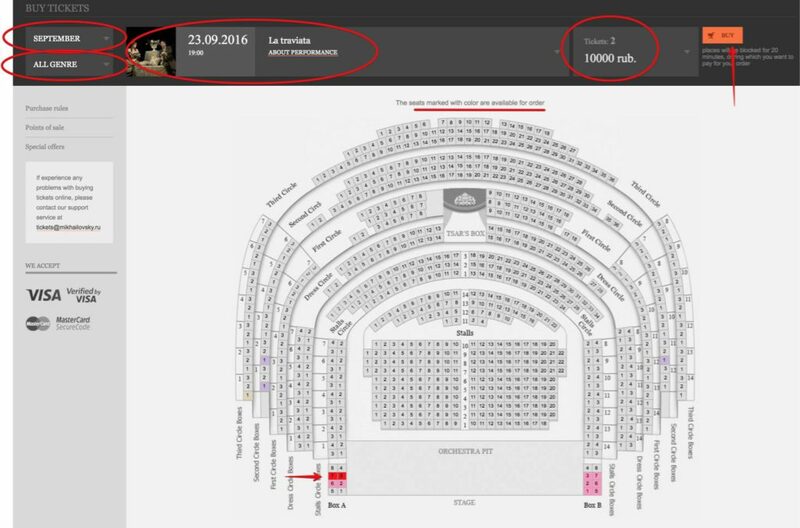 It is important to buy tickets some time in advance since it is easy for some representations to have high demand and put the sign “sold out” on the website. The Mariinsky Theatre is a historic theater, both opera and ballet. It is the home of the famous Mariinsky Ballet (known as Kirov Ballet during Soviet times). Its general director is Valeri Guérguiev. 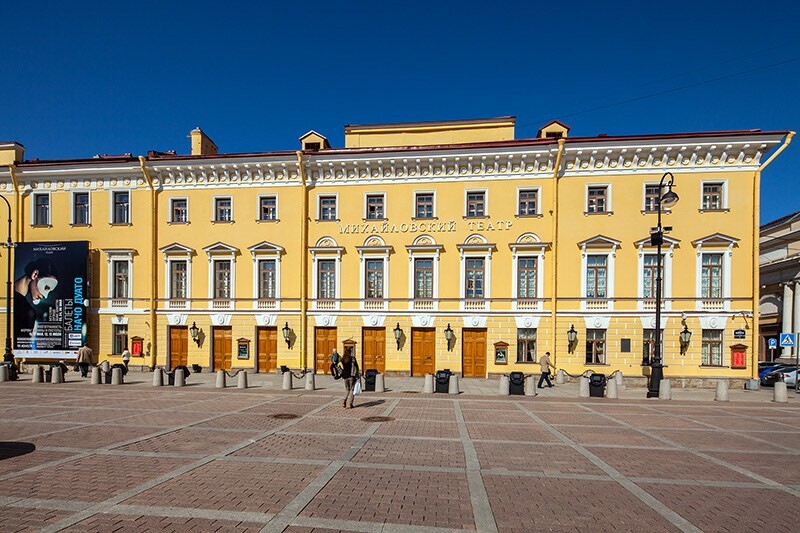 The theater is located in a classic building in the city center (in Teatralnaya square) in which the first performance took place in 1860. 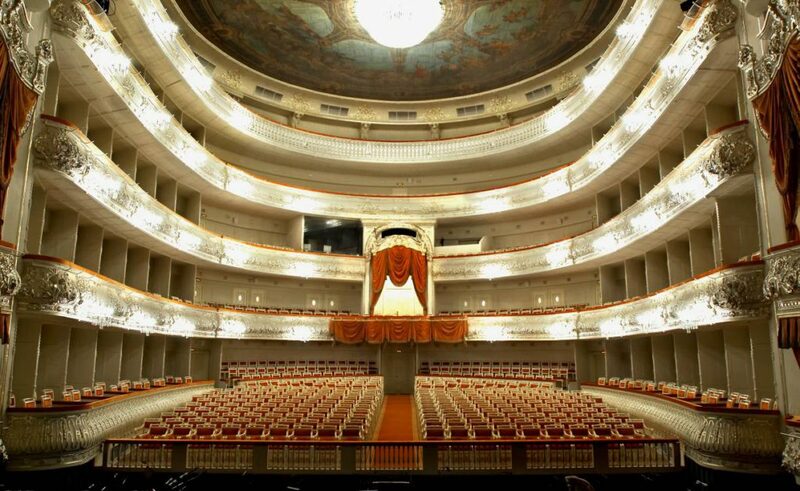 More recently, in May 2013, a second theater opened (known as Mariinsky II), in an outbuilding, and it has a modern and spacious setting, with capacity for 2,000 spectators. The regular theater season is usually in the period from September to June, though there is also the summer season during the months of July and August. 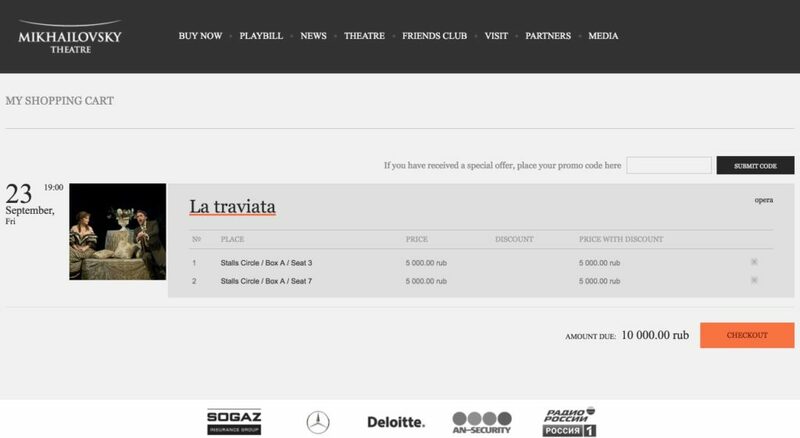 To buy tickets, it is best to do it through the theater’s official website to avoid the extra costs applied by other intermediaries. Tickets for the regular season go on sale a few weeks before it begins, while tickets for the summer season usually go on sale in May. Register as a user on the website through this link. 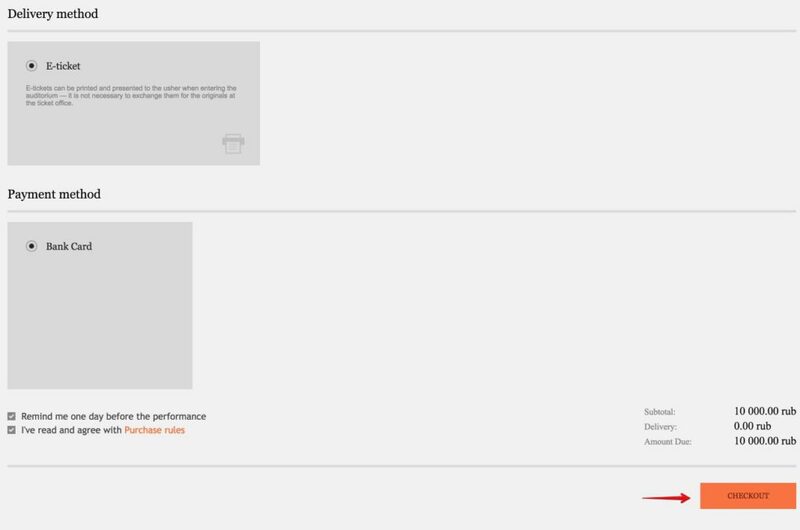 After filling out the form and clicking on the register button, you will receive a confirmation email. 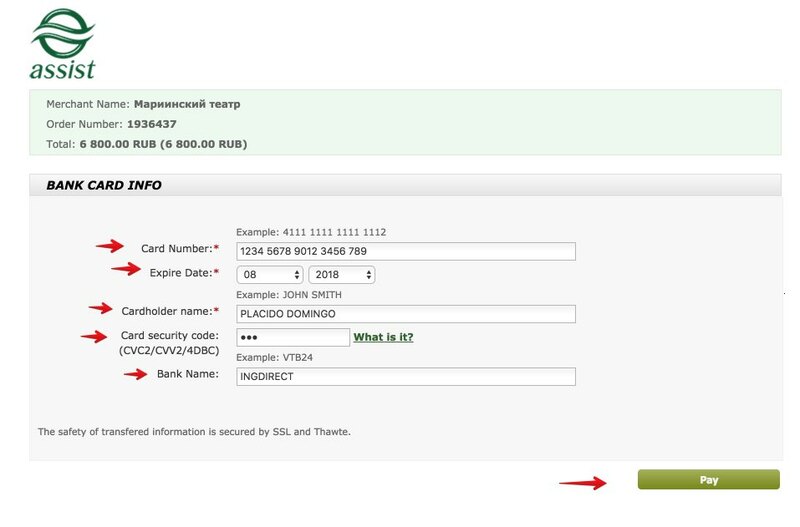 Once you confirm your account you can now access it using your email and the password you chose when you registered. 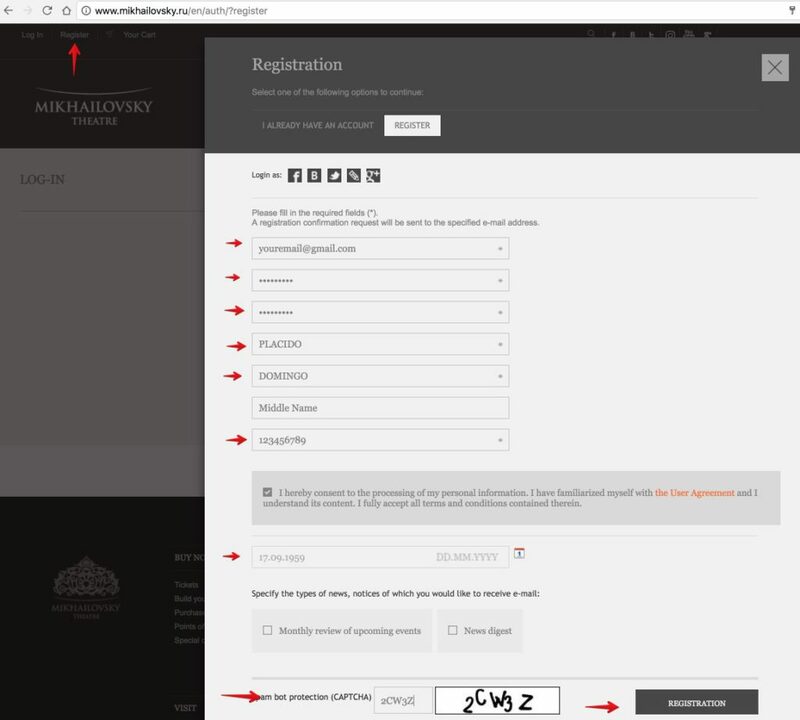 Once registered, you can go to the theater program through this link: https://www.mariinsky.ru/en/playbill/playbill/. 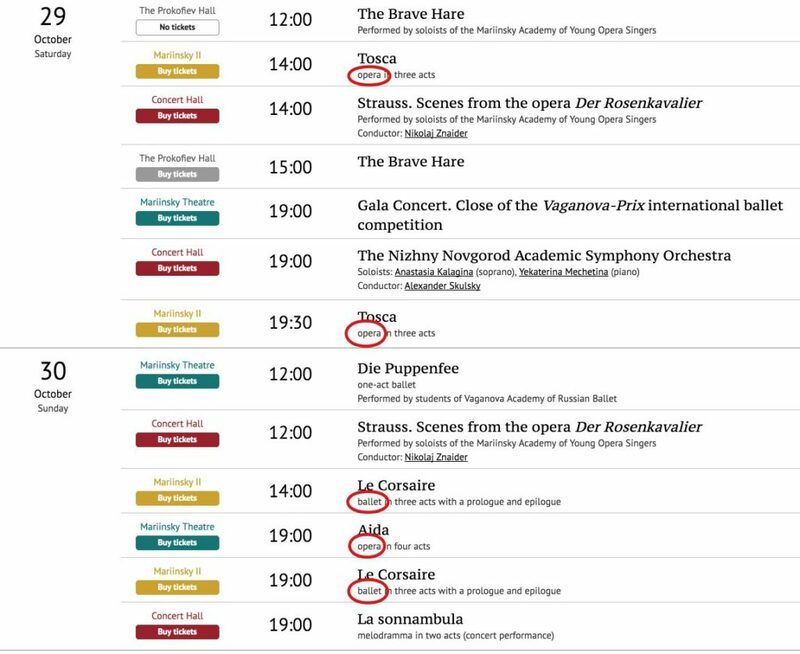 You will see that representations are sorted by day and by stages (Mariinsky Theatre, Mariinsky II, etc). It also indicates whether it is an opera, a ballet or a concert. If you see the “No tickets” sign, it’s probably because all tickets are already sold. You will see a summary of the locations and their price. VERY IMPORTANT: the “Special rate” is more economic but is intended only to Russians citizens or legal residents in Russia. The “Full rate” tariff is for foreigners. After payment you will receive electronic tickets, which you will only need to print them to present to the usher, in order to scan the bar code (you don’t need to go to the ticket office to redeem the entrance). To cancel the tickets, you have to fill in a form at least 10 days before the representation and send it by fax or email. 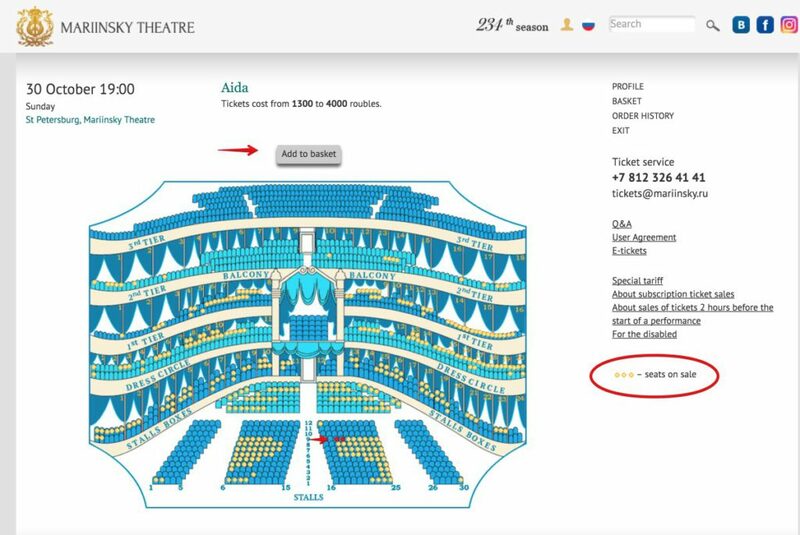 More information on this link: https://tickets.mariinsky.ru/en/agreement/ (section 5). 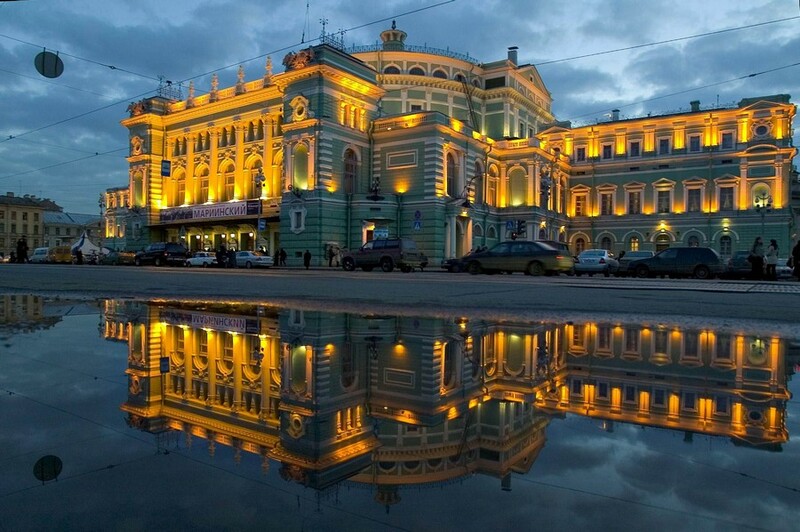 The Mikhailovsky is another famous theatre in St. Petersburg, in which opera and ballet are performed. It is one of the oldest in Russia, since it was founded in 1833 and it is located in a historic building in the city center in the Arts Square. The tickets, which can also be purchased online, are usually offered for sale a few weeks before the start of the trimester. The representations are made throughout the year, including July and August. 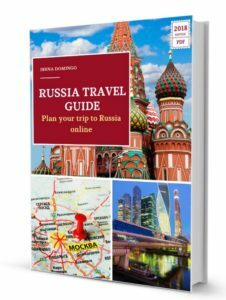 You need to be aware also of the different ticket types (for Russian citizens or foreigners). Access the programming schedule. You must select the work and the locations. The free locations are the ones marked in color. After marking them they remain in red. 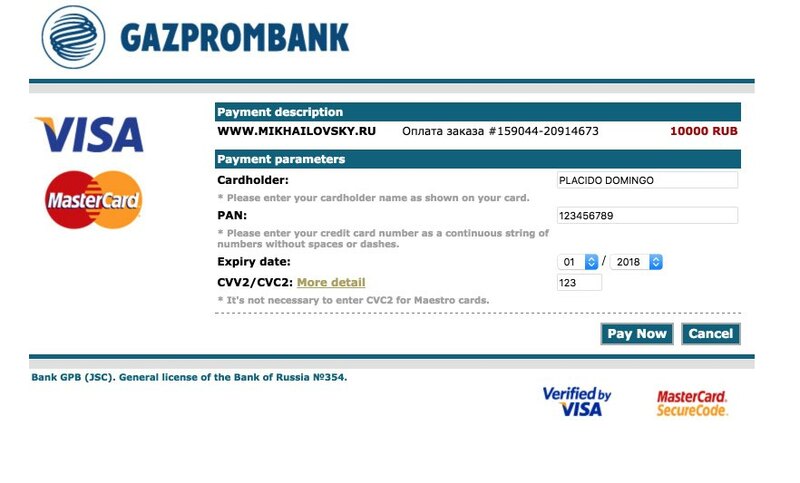 After this you must confirm the purchase, select a payment method and pay. The purchased tickets don’t need to be exchanged for the original tickets. After the purchase process you get a ticket in PDF format that carries a QR code, that you just have to print (or present it on your Smartphone or Tablet) to directly access the theater. There is no specific dress code to go to the ballet or opera. All you have to know is that you have to be well dressed, but there is no obligation to wear a suit and tie or a gown. You can go even well dressed in jeans. The only thing is not to go in shorts or T-shirts or in torn jeans. 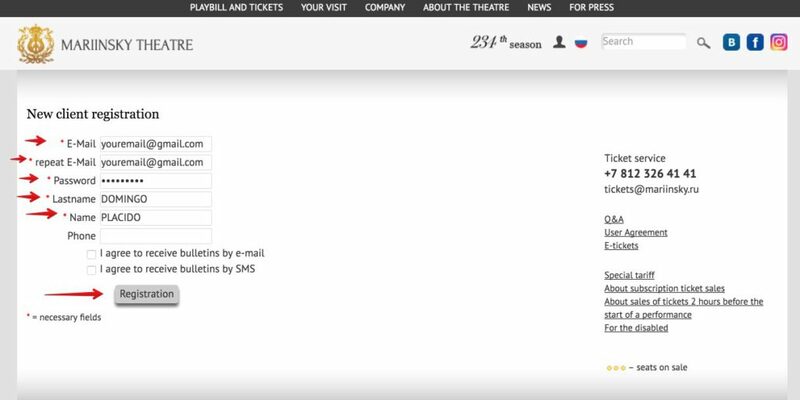 You can see more details in the website of the Moscow Bolshoi Theatre (see screenshot below). In winter, keep in mind that coats, jackets or bulky clothing must be left in the theater’s cloakroom. I hope this article has served to purchase your tickets for the opera or ballet in St. Petersburg. Have you attended any representation? What has been your experience?